The long-awaited 5G Radiation Blog from Gerard Bini from Orgone Effects! Gerard is at the forefront in EMR research and he gives a perspective here that no-one else could give. 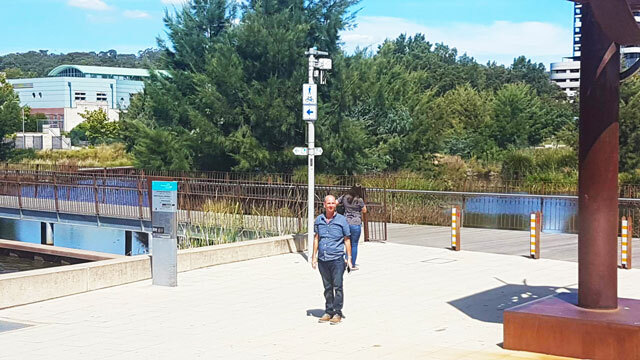 Gerard conducts testing in the suburb of Dickson, Canberra, where 5G is up and running on the effects of 5G on the human body, and tests the effectiveness of the Geoclense to protect against 5G radiation. 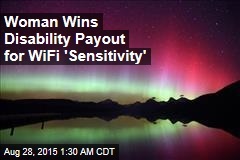 ….. And, it’s a resounding “YES”, the Geoclense provides 100% EMF protection against 5G radiation. Read Gerard’s first 5G Blog (below) and view the video footage of our recent 5G research and testing in Canberra and don’t forget to scroll down to see our list of recommended products for 5G protection! If l had a dollar for the number of people over the last 6 months who’ve asked me: “Will the Geoclense provide EMF protection against 5G?” I used to hear: “I turn my Wi-Fi off at night time, but will the Geoclense protect me against Wi-Fi?’ The answer to both these questions is a resounding “YES”, 100%. Even our very first model of the Geoclense back in 2004 will protect against Wi-Fi and 5G. To prove the effectiveness of the Geoclense against 5G, we flew to Dickson in Canberra, A.C.T. on Friday, 15th February. The decision to go to Dickson was not made simply by believing what l had read on the Net that 5G was now operating there in 2 suburbs. l needed to personally qualify and confirm this beforehand, that 5G was definitely operating there, by first intuitively “reading” the site in Dickson where we would be filming with Google Earth. I have learnt to be able to recognise what 5G “feels” like when l read Google Earth. What people don’t know about 4G towers and high-voltage powerline towers is that the charge through the air horizontally, is less than the charge which rises vertically, coming out of the ground. In Dickson, where 5G is operating, I measured a vertical charge that rose approximately 115cm above the ground, and it was EVERYWHERE. One of the major concerns with 5G is that you cannot escape this vertical charge due to the antennas being in close proximity, whereas with 4G, you can escape the charge by staying more than 100 meters away from a tower or a building with mobile phone panels attached. We travelled to Dickson with a certified Kinesiologist, Reece Pozingis, to video his muscle testing; a Kinesiology audit of the effect on meridian strength, while l performed the Biotensor testing; trademarked as “A Medical apparatus and instrument being for the detection of harmful radiation”, of the effectiveness of the Geoclense, our Space Clearing Dome and Pendants in a 5G operating environment. Our human ‘Guinea Pig’ used for the testing against the 5G radiation field was my partner Leanne. EMF testing should always be done on a biological level with a real human being to judge the meridian and organ balancing effect of a harmonizer. Gadgets like radio frequency meters cannot perform biological testing and cannot determine the electromagnetic stress on the human body. After all, it’s all about how the radiation is affecting our physical health and emotional well-being. We’re giving a perspective here that no-one else could give. We chose the Brindabella Natural Health Centre in Dickson to perform the testing of the Geoclense in this new 5G EMF environment, as we needed somewhere to plug-in the Geoclense to conduct the “before” and “after” testing. Also, Natural healing Centres have Kinesiologists, Naturopaths, Bioresonance and Chiropractic practitioners who tend to be more EMF aware and can assess a person for EMF stress. What we observed when we first arrived in Dickson was that the LED street lamps, which were all 5G enabled, were very close in proximity. You can tell these LED street lamps because they all have small blue antennas on top. We deliberately decided not to have any physical EMF protection on us in the form of our Orgone Ionic Personal Protection Pendants and Ener-Bands when we arrived in Dickson and, immediately, all three of us very quickly started to feel EMF fatigue as the 5G EMF charge was so strong. I also noticed that the energy was very “heavy” and the EMS (Electromagnetic Stress) placed on meridians and organs was quite intense. When Reece first tested Leanne “before” the application of the Geoclense in the Brindabella Building, it was confirmed that her heart, stomach, liver, bladder, kidney and central meridians were all out of balance, due to the 5G charge. My Biotensor testing of Leanne’s meridians confirmed the same result. It was interesting to note that the Biotensor reaction to 5G without a Geoclense plugged in was very intense, more so than l have ever experienced before. “After” plugging in the Geoclense into the building, it was an enormous relief to be EMS free! Reece confirmed this on Leanne with his Kinesiology testing and l could confirm this as well with the Biotensor testing, that her meridians were now no longer out of balance. The energy within the building was also very interesting because the 5G charge was “amplified” throughout the whole building due to the natural resonant cavity effect that all buildings create. This is something that Wi-Fi does NOT do. The intensity of that “amplified charge” is going to throw out very sensitive people completely. If you have any illnesses and expect to recover in a 5G environment, then forget about a quick recovery. The 5G charge had also knocked out the natural radiant Earth Ley Line Grids, such as the 180meter Grid and the 25Km Grid. These two earth grids provide a harmonious radiant negative charge which is conducive to good physical health and emotional well-being. Not only did the 5G interfere with the earth grids, but it also activated the 60-meter Earth Grid, which is normally only active when we have high solar winds of over 550 KM/second! The 60 Meter Grid is not conducive to good physical health and emotional well-being and is another cause of Geopathic Stress in the body. Our testing in Canberra also involved an outdoor test away from any buildings, standing directly next to a 5G LED street light “with” and “without” wearing our Orgone Ionic Personal Protection Pendants and Ener-bands, and with the Dome, which all passed the 5G Kinesiology and Biotensor testing with flying colours when they were applied. The day after we arrived home from Canberra, I was looking at and intuitively reading a church in Dickson on Google Earth street view. The energy of the church should have been radiant, as most churches are, however, the whole structure was oozing 5G EMF charge. Brindabella Natural Healing Centre where we did the Geoclense testing, now has a Geoclense plugged-in protecting the whole building. It’s probably one of the few safe spaces in Dickson! l was tipped off by our local Chiropractor that Mt. Martha and surrounding suburbs on the Mornington Peninsula in Victoria, all had their street lights upgraded to the same LED’s we saw in Canberra with the blue antenna on them and are now “5G ready” to go. We immediately drove to these areas and, by reading the energy there, we do know that 5G had not been activated in these suburbs, yet. As it turns out, a lot of Councils around the world are doing the same thing under the guise of “Oh, the street lights are environmentally friendlier!” And, in micro-fine print are saying, “also 5G ready with the antenna already installed.” I always wondered how, for example, the USA would be able to roll out two million 5G small cells by the end of 2020. It’s now quite simple; Councils have been rolling it out with the new LED street lights for a few years already, just like the Mornington Shire, right under our noses. Yes, 5G is a big health risk to the public and is probably worse than anyone could imagine. From our recent personal experience and testing of a 5G EMF environment in Dickson, Canberra, it appears that 5G is an electromagnetic health hazard without a Geoclense operating in your home and workplace. Our testing proved that a Geoclense in a building neutralized the 5G charge 100%, and wearing a Personal Pendant or Ener-Band, or having a Dome in your pocket or handbag when you’re out and about, will protect the body and prevent meridian and organ stress from 5G radiation. Our soul carries a natural life force that connects us to an energetic flow outside the physical world. This greater field holds our day to day physical experiences that join together to form life. We can lead a safe and secure life by using our mind to work out what we want and how we will get that or we can connect to our natural life force flow and trust that this will form the experiences we are meant to have. When you observe the flow of a river we can feel it is in tune with nature and life. If we tried to capture that life force by scooping a bucket of water from the river and taking it home we instantly separate from what is, into what we want. The container of water is now still water sitting confined in a bucket. It is yours and you have what you think you want. However there is no longer a flow of life force that is free and present which was the very thing that connected us to the “feeling “ of the river. Our soul, like the river, carries an energy in tune with nature and the universe and when it is acknowledged and allowed to lead our experiences it too can remain free and draw in the experiences to match our spirit rather than our mind. When we lead a soul centred life this momentum opens up possibilities and opportunities that would have otherwise remained unknown and unfelt. These experiences may be the keys to not only our own actualisation but that of humankind. Tune in and feel the flow of your river, don’t limit yourself to the bucket of water. You are your own source and hold an eternal ocean of love within that wants to freely flow and truly “live” life. (Newser) – Electromagnetic radiation has been around since the universe first formed; it is, in its “most familiar form,” light, reports the World Health Organization. But as cellphone towers and gadgets proliferate, electromagnetic radiation has increased, and some claim a sensitivity to it. One woman in France is now getting roughly $900 a month from the government in disability pay, reports the BBC. Marine Richard, 39, who says she’s had to move to a barn without electricity in a remote region of France to escape electromagnetic waves, calls the decision a “breakthrough” for those who experience electromagnetic hypersensitivity. But the court in Toulouse—which ruled last month that her symptoms stopped her from working—did not go so far as to call EHS an illness, reports Yahoo News UK. Earth Magnetic Grid Lines are all standing waves (walls) of EMF which can only be harmonised not dissolved. The area where grid lines cross is known as a cube. The wider the grid line, the bigger the cube and the more dangerous to life forms. For example, a person sleeping with a Benker or 400-meter grid crossing over them is at a higher risk of cell damage and organ stress than having only a single grid line over them. Earth Magnetic Grid lines cannot be moved or dissipated like Death Imprints. Grids run north south, east west, to magnetic north. Nets run 45 degrees to north-south. Hartman Grid, 300mm wide, occur every 3.5 meters. Curry Net 300mm wide, occur every 3.5 meters. Benker Grid – 1100mm wide, occur every 7 meters. A Death Imprint is an imprinted electromagnetic field, sometimes known as a Bioplasmic field, of dense etheric matter carrying Astral Fragments where either a person or animal has passed away, although the actual spirit of the being which has passed goes to ‘Godhead”. From the imprint, a Spirit Line occurs radiating out either side of the imprint and the Fragmented Astral energy can spread to the boundaries of a property or even greater. The Astral Fragments can be referred to as an ‘Entity, due to is counter-conscious behavior. These Fragments are highly dangerous to humans and animals as they are able to lodge or imprint into the etheric fields of living beings. Spirit Lines are 200mm wide and are evidence of Astral Fragmentation in a building. Death imprints are the energy field left after the death of an animal or human and are the size of the actual being that died in that particular place. There are no death imprints in Australia over 200 years old. This is because the Australian Aboriginals, who were masters of the energies of the land, knew how to dissolve the imprints. However, when the Europeans arrived and started to massacre the Aboriginals, the death imprints were not able to be dissolved. Water Veins are earth radiation EMF fields, which are usually between 350mm wide and 4 meters wide, however, they can vary in width. Water Veins can run in any direction and are 2 degrees warmer than the ground either side of the vein. Cats like to sleep over water veins because they sense the increase in temperature. They are not drawn to them because of the noxious resonance. Some carry cancer-causing Radon Gas caused by interaction with radioactive minerals. Radon Gas is a big problem in the USA where there is a lot of radioactive material underground. Water Veins can project from ground level to a height of around 1.2 meters. This means that in a multi-story building people working above the ground floor are not affected by the presence of coal, granite, or uranium in the ground. The ground water lying just under the surface, along with the presence of radioactive matter creates what is called Black Water. Some people may suffer quite severe geopathic stress imprinting in the body, more so than the charge from the radioactive matter in the ground. Cities such as Perth and Adelaide have large areas of black water due to the sandy soil and flat terrain and their strong presence of radioactive matter in the ground. Coal deposits which are close to the surface create earth radiation which emanates up to around 15 meters above the ground. Cities such as Gladstone, Newcastle, Morwell and the Gold Coast are areas where there are coal deposits. Statistics from surveys of people who live where they are exposed to the resonance from coal generally creates geopathic stress in the liver. Uranium and granite are radioactive minerals which also occur naturally in the ground, virtually everywhere around the world. It is decomposing matter and creates Gamma, which extends to around 40 meters above the ground. It has a strong positive charge, which causes geopathic stress. In some areas such as the Gold Coast, coal, granite, and uranium can occur simultaneously. Statistically, around 85% of properties Google read and surveyed, or on-site surveys have at least one toxic mineral in the ground. Another energetic influence over a property may also be from airborne pollutants such as heavy metals. The heavy metals carry a positive charge which can easily be read as causing organ stress similar to what earth radiation of EMF would. These metals are Cesium 134 & 137, Strontium 90, which come from nuclear power plants. Or mercury dust from coal fire power plants. Although we don’t have nuclear power in Australia, however CHEMTRAILS do contain Cesium and Strontium. Countries which have nuclear power have a strong presence of these heavy metals in the air and is very easily read using Google earth. France has the greatest number nuclear power plants in Europe. America also has many nuclear plants. Heavy metals are a health risk because they cause yeast overgrowth in the intestines, which leads to candida, especially in the lymph, which may lead to various tumors in the lymph glands and surrounding tissues, i.e. cancer. Illness imprints are a result of a person which may have a severe illness and the organs which are diseased create a positive charge strong enough that the charge leaves an imprint in the space. Often you will find liver, or heart or pancreas illness imprints in a property. The illness imprint will cause organ stress in everyone that enters that space. Emotional imprints are positive charge fields caused by someone’s emotional distress and will couple with an illness imprint. For example, you may have a liver imprint along with a ‘livid’ emotional imprint or a ‘depression’ emotional imprint coupled with either a heart illness imprint or pancreas illness imprint. Canberra has a very strong heart and pancreas illness imprint coupled with a depression emotional imprint, which is so strong that at times it may be felt in other parts of Australia as far away as Melbourne. Outgassing is the release of toxic odours from materials such as new carpets, plastics, paints, chemicals such as petrol, chemicals fertilizers etc. Besides having a toxic odour, outgassing also creates a positive charge field. For example, a petrol station may create an imprinted field from the petrol in the tanks underground for up to 60 meters away from it. Outgassing odours are also a xenoestrogen or a hormone cell disruptor. This is another reason why women’s hormone health experts are always expressing caution about the dangers of exposure to xenoestrogens. Electromagnetic Radiation is caused by our electrical systems and is measured in Milligaus with a Gauss Meter up to 100Mg. Readings over 4Mg are deemed dangerous to animals and humans. Some appliances create EMF fields of up to 3 metres radius. Examples being fridges, CRT TV or PC/Laptop screen, Plasma and LED TV’s, bedside lamps, computers, meter box, old power points that are worn or damaged. If the earth wire at the meter box is grounded to the buildings water pipe, which was common practice many years ago, then the pipe will emit an EMR field. Overhead power lines create EMR fields, which vary according to the amount of current running through them. An example of this being that there will be larger EMR fields in the middle of summer at 7PM when the load of air-conditioning, cooking, washing and electronic entertainment is at its highest. EMR also creates leaked or imprinted EMF fields. This means that an electrical appliance when turned off, still has an EMF field around it which needs to be dissipated with a strong source of programmed negative charge such as with the Geoclense Home Harmonizer fitted. Smart Meters create a RF field of approximately 1.5 metres around it. They send a communication back to the tower which is about 150mm diameter. Digital TV’s creating a RF field up to 200 metres in front of the screen which is also a dissolvable (using the Geoclense) imprinted EMF field. Digital clock radios creating a RF field of up to .5 metres in front of the screen. Wireless routers, PC modems, baby monitors, cordless phones, mobile phones, 2 way radios, microwave ovens. Larger outside influences are mobile phone towers, TV or radio broadcasting stations and towers. Some of the larger communication towers which have the large Microwave drums attached can have a dangerous field of up to 400 metres away from the tower as with the Bondi Junction tower in NSW. All the Orgone Products harmonise the above fields to improve your health and limit your exposure to noxious energies. “Not another detox, part of me thinks I don’t want to do that, it’s too hard however the part that is in tune knows how beneficial a physical clean out can be.” Just as our home needs a regular “move the furniture” type clean, so does our body. However, there is another cleanse that is as equally important as our physical cleanse, it’s an emotional cleanse. When we eliminate old emotional thoughts, beliefs and patterns that have weighed us down or held us back we can open up new pathways that lead to healthier emotional choices. Some may say that’s all well and good but how do you do an emotional cleanse? It can be very simple when you really want to. The first thing is willingness to want to change or gain a greater understanding around someone or something. With this in place it gives us a greater ability to be able to take an honest look at ourselves, our motivations, expectations and behaviours not just through our mind but also our heart. Sometimes we can be operating on automatic pilot and just going through the motions and not really connected to what we are doing If we are doing the same things we will be getting the same results and even if we are hoping for better outcomes, our awareness may not be open enough to recognise it when it comes. Love is the greatest cleanser in the world. It starts with love of self. I don’t mean the 70’s mantra “you have to love yourself”, I’m talking about the connectedness with our heart and soul and a genuine knowing of who we are. It is the ability to love ourselves through the most confronting times in our life. Whether we make mistakes, upset someone or withdraw from situations, it is not to make ourselves small by our mind’s internal reprimands as it leads to the same old automatic patterns playing out where nothing is solved. It helps to face everything as if we are in the driver’s seat of our life and responsible for the creation of it. If we want to change things then we take charge of our thoughts, beliefs and actions to look at what is working, what is not and make changes accordingly. Fear blocks us wanting to change which in turn stops the cleansing of emotions. We can sometimes be so fearful of the unknown we are prepared to stay unhappy in our lives. These fearful beliefs are just words we give power to and they continually restrict our movements and keep us in the passenger seat of our life. When we connect to our true self and work with our heart’s natural way, rather than our mind making all the decisions, other important senses like intuition and purpose kick in. This take us into a bigger picture where we can recognise opportunities and get ourselves into the right place, at the right time for the right thing to happen. Emotional cleansing is simply about being aware; it’s not a seasonal thing, it’s a lifestyle shift. Living life by first connecting internally and then viewing our external world in present time helps us to relate and enjoy everything we do. There is no need to hold onto the past or the future…all we have is right now in present time and our relationship with ourselves and each other, just as you read this article you are connecting to this moment….and have already started your emotional cleanse! Enjoy your Autumn cleanse of turning over a new leaf whether it be physically, emotionally or both! “Geopathic Stress is the lowering of the of the earths magnetic grids Ley Lines and underground water veins energetic status to a point that they create unhealthy bands and fields of Positive Ion. This occurs to a point that it creates distress and disease in people and animals. The earth’s major magnetic grids known as the Benker, 170metre, 250 metre and 400 metre grids create healthy Negative Ion which is energetically harmonious to people in natural surroundings. However, their energetic state deteriorates to a point that is dangerous to human health when a building is constructed above them, or if the land is poisoned by fertilizers, land fill ot radioactive matter such as volcanic rock. Beker Grids, which are 1100mm wide are especially dangerous to health when combined with dangerous levels of Electromagnetic Radiation. They become a danger to human health if too much time is spend over them (sleeping in bed) thus leading to physical and or mental health problems. Symptoms of being affected by Geopathic Stress are disrupted sleep, waking up feeling drained rather than rejuvenated or feeling nauseous or depleted of energy while sitting in a particular place. A great percentage of people are sensitive to Geopathic Stress, and once identified its debilitating effect can very easily be felt. Geopathic Stress is also caused by fault lines and fissures known as fault zones, which occur with the rising and falling of the earths crust. This causes a lower than normal vibrational rate, which can also create severe physical and mental states in the human body. Gerard Bini is a leading geomancer, medical intuitive and sick building expert having worked in this field for the past 20 years. He is also the inventor of the Geoclense Home Harmoniser and the entire range of Orgone Products. He advises that the Geoclense Home Harmoniser is guaranteed to turn Sick buildings into healthy buildings, thus making people healthier, happier and more in tune with themselves and their surroundings. If we only live a small part of the life that is available to us, what happens to the rest? If we are to live every moment in the fullness available why do we sometimes feel our life is empty? Are there two worlds? One completely orchestrated and created through our mind that constructs form, the other the world of nature. Our mind’s world is definite, linear, stops and starts, has hard, sharp edges and exists in the physical duality where everything is judged good or bad. Our feelings have been trained to follow our mind and hence our world is created based on a physical reality. The other world is nature. This reality is infinite, endless, has round edges, is expansive , spirals, is purposeful and felt. It is accessed through the heart and our natural awareness grows to become conscious of the existence of something greater, unknown until it is known. We are nature and when we work with it we are in tune. Nature creates space for inflows and outflows which help us freely move from one experience to the next. Just like the ocean when it comes into the shore and retreats back to itself, it flows freely and is what it is. No matter whether displaying huge threatening waves or sparkle topped ripples, we love it. As spiritual beings we do not attach to anything, emotionally or physically. In nature everything is free to follow its natural cycle and things just are. Our natural energy flow as free spirits is giving and receiving and while this may seem too simplistic, the power of operating authentically is enormous. We are naturally drawn and connected to people. Some connections may be obvious, others unexplainable, but an inner sense of knowing keeps the link in place whether it is acknowledged or not. You know when you meet someone for the first time and you feel you know them, perhaps you do know their energy, just not the way they look this time. Our attention may be focussed on the physical and the actual words spoken, rather than what is behind these veils. When meeting people and connecting with them maybe it is far simpler than we think. We complicate exchanges by trying to work things out. What if we closed our eyes and tuned into their energy, we would probably come up with a whole different story. The universe is nature and is on our side, it is like our father’s truth and mother’s love and this union creates children. Children free to explore and discover life on this wonderous planet. To be able to interact with everything yet not be attached to having to have everything. Maybe the purpose of us being here is to consciously come back to our simple child-like nature and be able to hold the integrity of carrying the power of the truth. Life determining moments happen in the simplest of ways. While we are focused on making big things happen, off to the side, the little moments occur that carry the deepest meaning. At times we are not aware they are happening. It’s like something has been in front of us all along, but we’ve looked up, down, side to side and given up, or thought we were wrong. In that sweet moment of surrender we find ourselves. It’s like our mind forms beliefs of how things are to look and we only look for that. What if we were meant to be tuning into natural experiences that come easily to us and are recognised as a simple stepping stone to the next? We have to lift our foot off the stepping stone to reach the next one. No holding on to anything. Everything changes, nothing is meant to be permanent. We are meant to move freely from one moment to the next and not attach to any particular emotion, feeling or experience. It is to simply enjoy the experience with no judgements as we freely flow to the next. It is surprising how deeply satisfying every moment becomes being present to it, not the past or the future, just present. This aligns us with all of nature and we find our natural place and connection in such a way that it ignites our purpose of being. It creates a true natural vibration that aligns us with our home reality. As spiritual beings we are all having one experience where all flows are connected and when this flow is acknowledged it helps activate us all. Inner peace is found when we no longer have to go outside ourselves to find joy. When we can truly be with ourselves and love who we are regardless of what we do. In one way there is nothing to do…other than to love ourselves and let go. In that we love the whole planet and let go of trying to control nature so it works for us. We trust nature to lead us home. We are free, when our spirits fly and our mind is our friend who works with us. Our endless life beats with the heart of the universe. Our nature is eternal love. Wireless devices including WI-FI, cell phones and cordless phones have brought an unprecedented level of convenience to your life . Unfortunately, that convenience may come at the expense of your health. Common mistakes in your daily routine of dental hygiene and how to fix them.